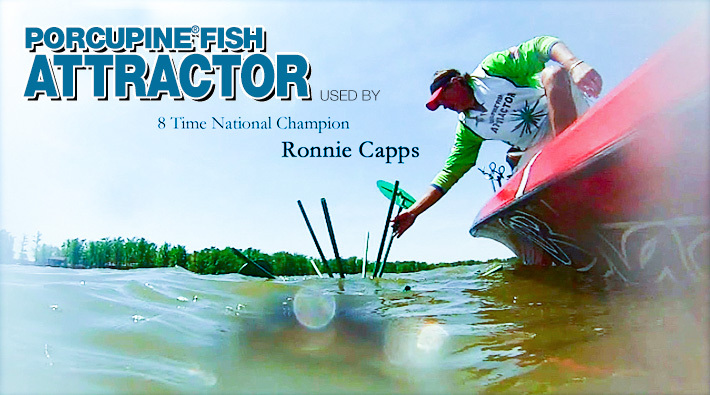 We here at Porcupine Fish Attractors have produced the most innovative fish attractor available on the market today, with the purpose of adding habitat to promote a balanced and thriving fishery all while improving your fish catching efficiency. Our uniquely designed fish attractors are easy to build, easy to submerge and best of all, easy to fish. If you’re looking for the best, most affordable fish attractor available, look no further…Porcupine Fish Attractors are the way to go! We are Proud of the fact that Porcupine Fish Attractors are Made In America! Supporting Americans and helping to create jobs here in our own communities. 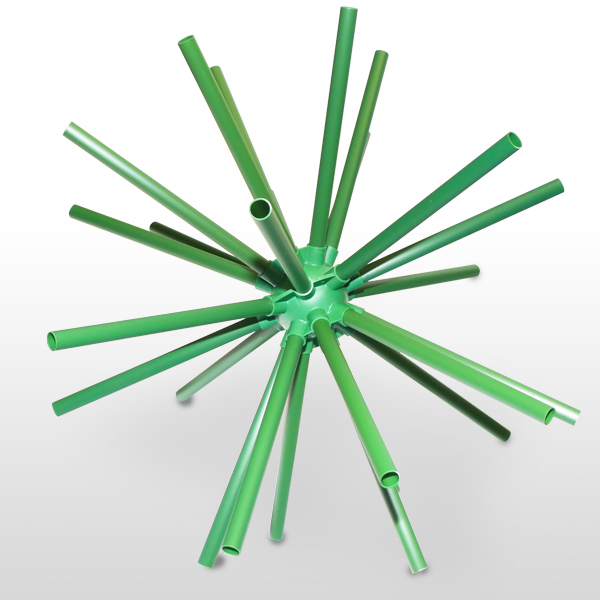 The Porcupine Fish Attractor is one of the newest innovations in the fishing world. It is simply amazing how quickly fish move into the Porcupine and the numbers if of fish they hold. The advantage of the Porcupine over the brush piles are overwhelming. There is no comparison in setting the attractors, the expense, work, durability, time involved., fishing the attractors, the size of fish they hold, length of time got fish to move into them, etc.. We have been setting brush piles in local lakes for some time now. It takes a lot of time and can damage your boat. By the time you cut brush, haul it to the lake on a trailer, have your partner follow you in his truck pulling a boat, you already have a lot of time and gas invested, and still don’t have anything in the water. Then you have to drag the brush on the front of your boat (scratching it) and set the brush in the right location. By only being able to haul one pile at a time on your boat, you have to return to the ramp and repeat. If you are setting brush very far out it takes even longer and uses more fuel and time. In the same time that we could set pone pile, we can now take 20 Porcupines out, glue and set them in a single trip with ease, and even better we have never put a single scratch on our boat while setting a Porcupine. 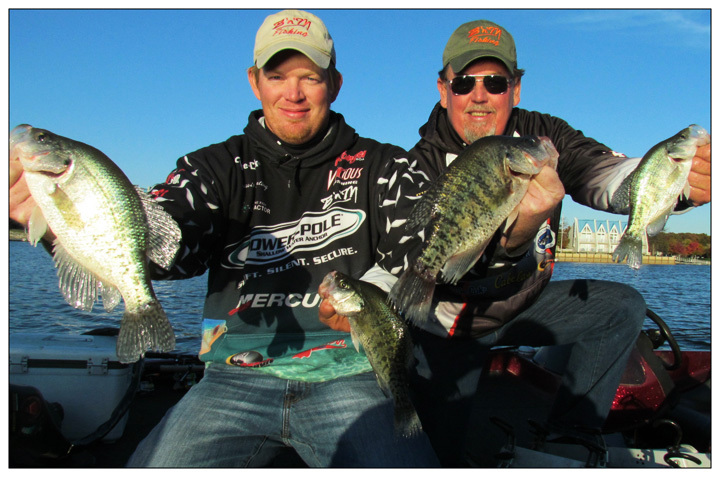 Another advantage is the time it takes for fish to move into a Porcupine vs. brush piles. We found that it takes up to six months for fish to move into a brush pile. Typically, that is just small fish– it takes and additional year of two before fish of substantial size more into it. A fish almost grows at the same rate as brush piles develops. However, we have set Porcupines, fished them a month later and caught tournament size fish out of them. Amazing! Normally by the time a brush pile rots out enough to hold big fish it is close to being rotted out completely and ready to be replaced. A Porcupine never rots out. In the long run that will save time and money allowing you more time to fish. The slime on the fish is their protective coating. A large fish wants to be able to move through structure to hide and feed without being scratched. They are just like humans, we don’t want to walk through a briar patch every night to get to the dinner table. The Porcupine does not have little branches or leaves and allows the fish to move freely through- unlike the brush pile. It takes a lot less weight to set a Porcupine because it fills up with water, There is also a lot less water friction or drag on the Porcupine. In the spring when the rain falls and the lakes and rivers start flowing there is a chance a brush pile will wash out. A Porcupine will stay put and is ready to fish when the water stabilizes. A large advantage to the Porcupine is that it is more fishable due to the design and is almost impossible to get hung up. In today’s fishing world everyone likes to fish different techniques. YTou can single pole, spider rig, pull baits, and even drag or push crank baits through them. If you have ever drug eight to sixteen crank baits into a brush pile you will know when I am talking about.